The last few semesters I ran this two-day lesson on distance-time graphs. Today I added a new twist on Day 2. Recap: Day 1 – A few prediction videos on water height in a cup vs. time. Then WATERLINE by Desmos! 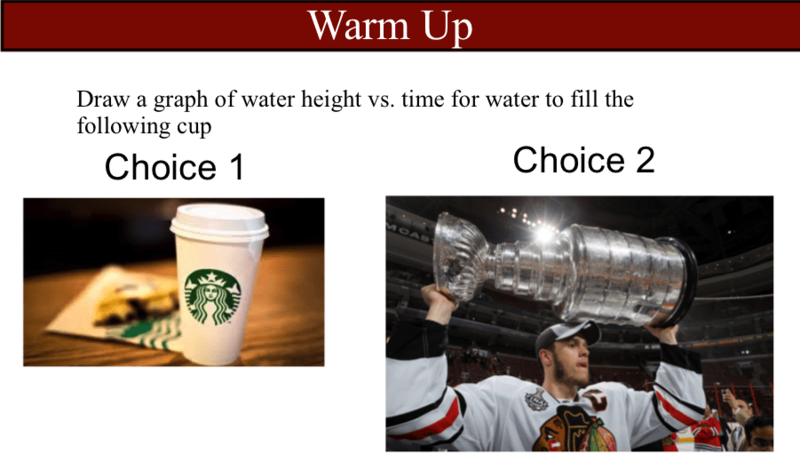 Warm Up – We reviewed the previous day’s work by choosing one of the cups from the picture and drawing a water-height vs. time graph. Not surprisingly, no students chose to draw the graph for the Stanley Cup. After they make their sketches we dove into using the CBR Rangers from Vernier just like on Day 2 from the previous post. They walked in front of the Ranger taking various different walks and we all saw their distance-time graphs in real-time. For each walk the students made prediction graphs on their whiteboards before seeing the live graph. I wanted more predictions from them so I showed them a video I made. They were to watch the video and make a prediction graph of my distance away from the camera vs. time. 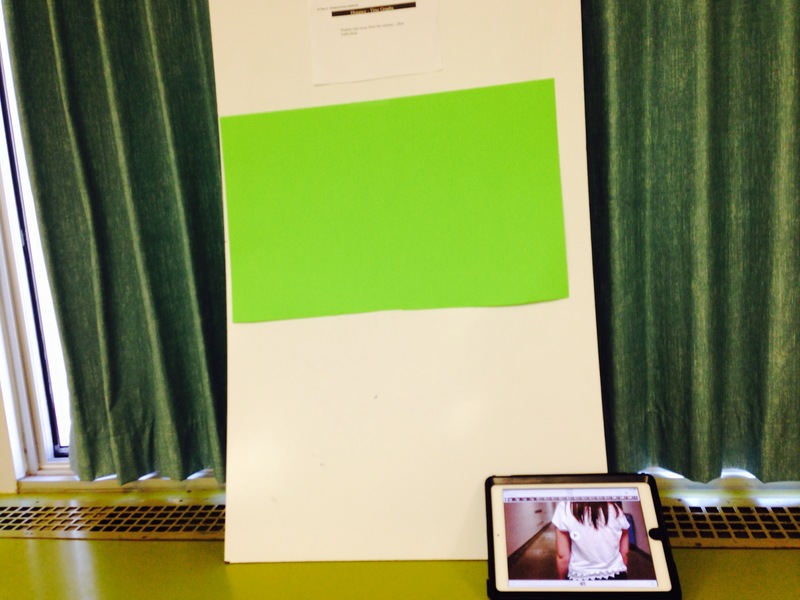 After take up of this graph they were to create their own video on the iPads. 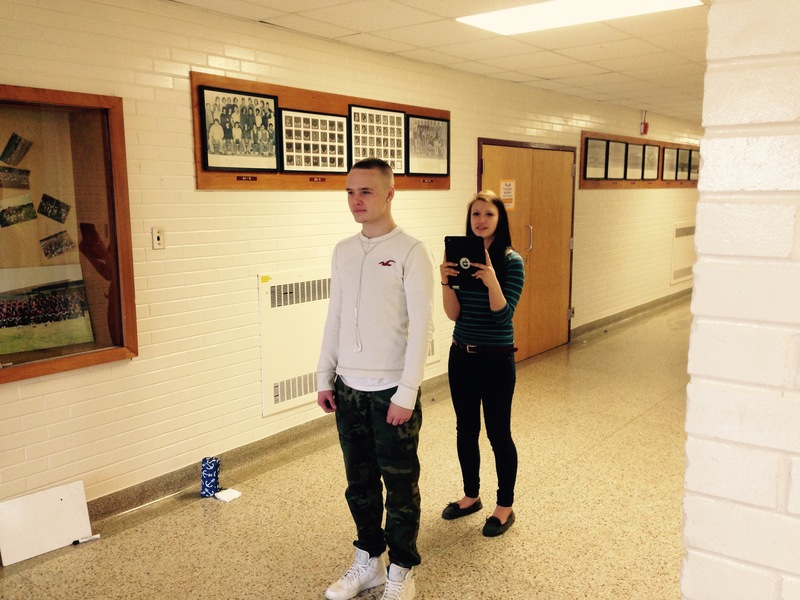 Each pair of students we’re given a scenario to film that described motion. Here are two motion videos they filmed: Very basic to start! 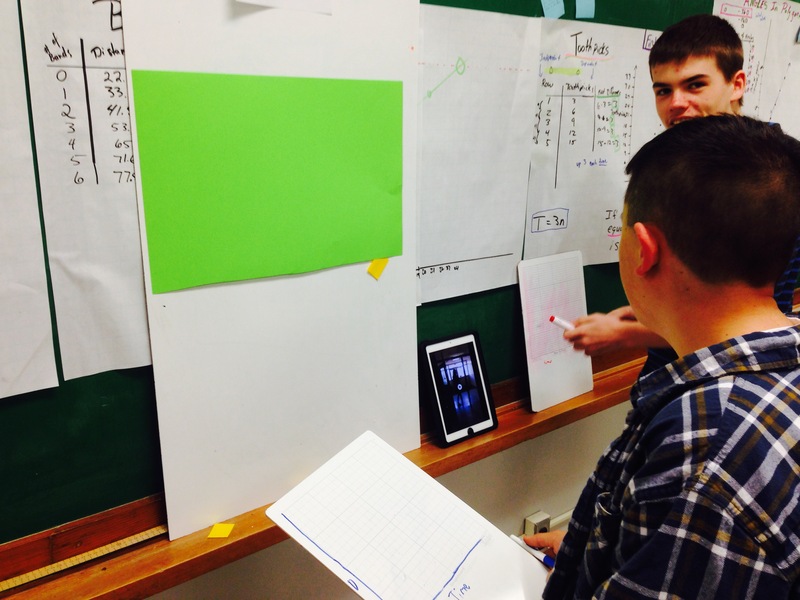 They had to create their distance-time graph and hide it under the flap on the vertical whiteboards. 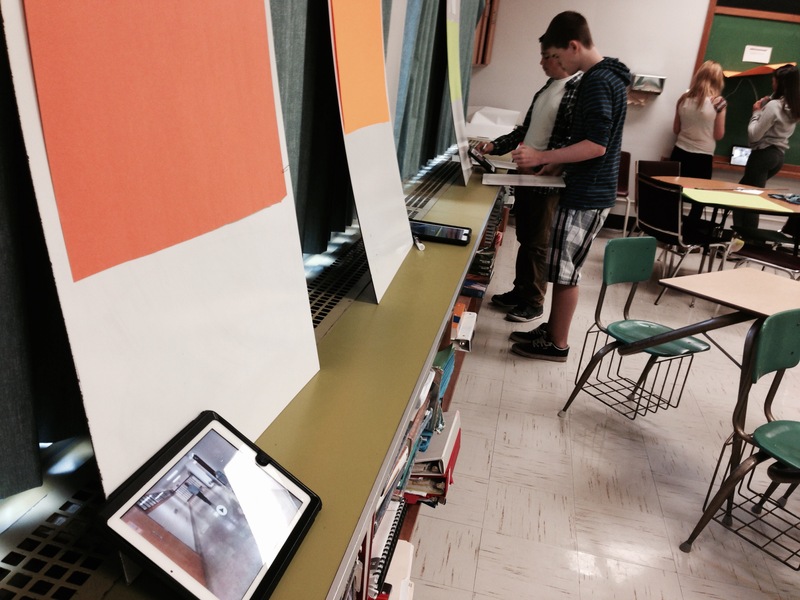 Pairs then went on a gallery walk. They watched each student made video, graphed the matching distance-time graph and then checked the answer under the flap. Kids enjoyed it and they practiced lots of different distance-time graphs.